Indiana State University will continue 150 years of learning with a celebration for the College of Arts and Sciences. The college will host its 150th Sesquicentennial Celebration Dinner on Nov. 15 at the Sycamore Banquet Center. The event will begin with cocktails at 5 p.m. and dinner at 6 p.m. At 7 p.m., there will be a program featuring alumna Jill Bolte Taylor, an author and neuroanatomist who experienced a severe hemorrhage in the left hemisphere of her brain in 1996. Taylor will talk about the "magnificent brain, how to get it to do what we want it to do, how to recover it from trauma and how to relate to the characters in our two separate hemispheres." Following her eight years of recovery to restore all physical and thinking functions following this rare form of a stroke, Taylor has been a champion for helping others regain their lives after similar neurological trauma. Her story is the center of a feature film and she created the not-for-profit organization, Jill Bolte Taylor BRAINS, which is dedicated to providing educational services and promoting programs related to the advancement of brain awareness, appreciation, exploration, education, injury prevention, neurological recovery, and the value of movement on mental and physical health, as well as other activities that support this purpose. In 2008, Taylor, Ph.D. '91, gave a presentation at the TED Conference in Monterey, Calif., which turned out to be the first TED talk to ever go viral through the internet. TED and Taylor became world famous instantaneously, and her TED talk is now one of the top five most-viewed TED talks of all time. This now famous 18-minute presentation catapulted her story into the public eye, and within six weeks of presenting that TED talk, Taylor was chosen as one of TIME Magazine's 100 Most Influential People in the World for 2008, was the premiere guest on Oprah's "Soul Series" webcast, and her book, "My Stroke of Insight" became a New York Times bestseller. She is the national spokesperson for the Harvard Brain Tissue Resource Center (Harvard Brain Bank) and educates the public about the shortage of brain tissue donated for research into the severe mental illnesses. Since 1993, she has been an active member of the National Alliance on Mental Illness and is now president-emeritus of the NAMI Greater Bloomington Area affiliate in Bloomington, Ind., after serving as the president for more than 10 years. "My history with ISU began back in 1962 when my mom, Dr. G.G. Taylor, became faculty in the mathematics department. I was 3 at the time and grew up as a faculty brat," Taylor said. "Culminating my higher education with a Ph.D. from the ISU's life sciences department was a natural step that provided me with an excellent education. From ISU, I leaped to performing medical research at Harvard Medical School in both the departments of neuroscience and psychiatry. I am grateful to this excellent institution and the College of Arts and Sciences." The cost to attend the celebration and hear Taylor speak is $50 per person or $25 for Indiana State students. All proceeds will be used to establish the College of Arts and Sciences Sesquicentennial Scholarship Fund. To buy a ticket, call Nancy Hall at 812-237-2788 or go to https://events.attend.com/f/1383777177#/reg/0/. "We hope the event raises enough to endow a student scholarship in the dean's office," said Chris Olsen, interim dean of the College of Arts and Sciences. 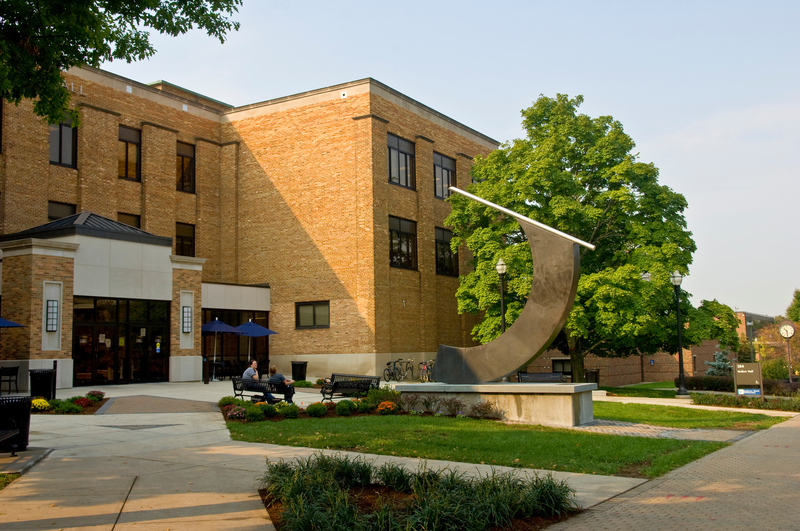 "As Indiana State's second oldest college, the College of Arts and Sciences is home to over three-fourths of the foundational studies program, and it's important to recognize our fundamental role in ISU's history, present, and future with an event like this." Jill Bolte Taylor, Ph.D. '91, helped put TED talks on the map, was chosen as one of TIME Magazine's 100 Most Influential People in the World, was the premiere guest on Oprah's "Soul Series" webcast, and wrote the best-selling book "My Stroke of Insight."